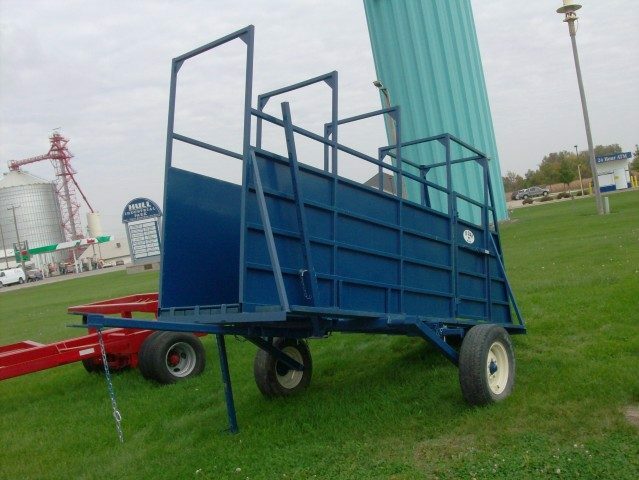 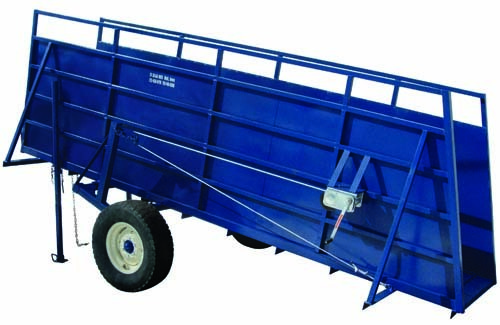 A loading chute designed for cattle and large livestock. 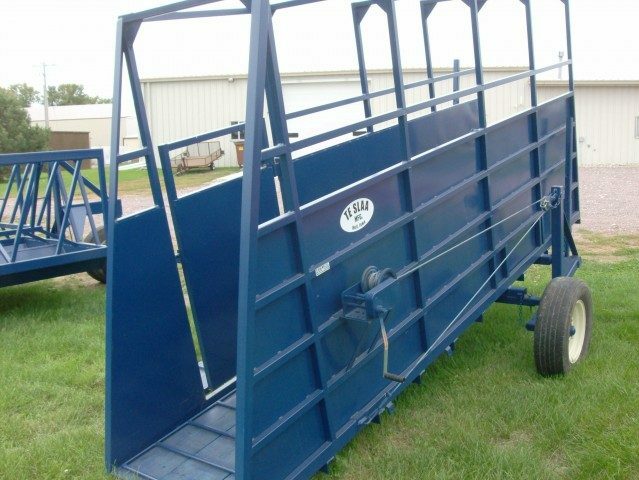 The primary framing on this chute consists of 1 1⁄2″ 14-gauge square tubing with 16-gauge sheet metal sides. 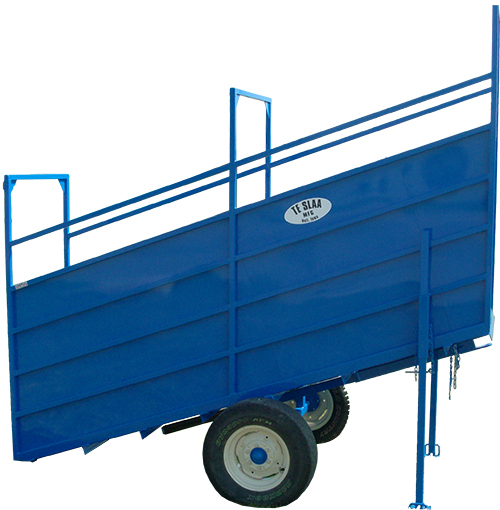 The floor of the ramp is constructed of 2″ x 12″ wood flooring with steel traction bars. 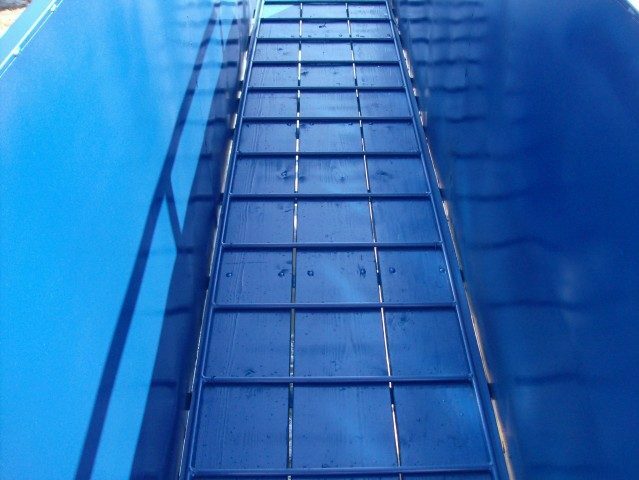 A heavy duty tongue is made from 3″ x 3″ square tubing. 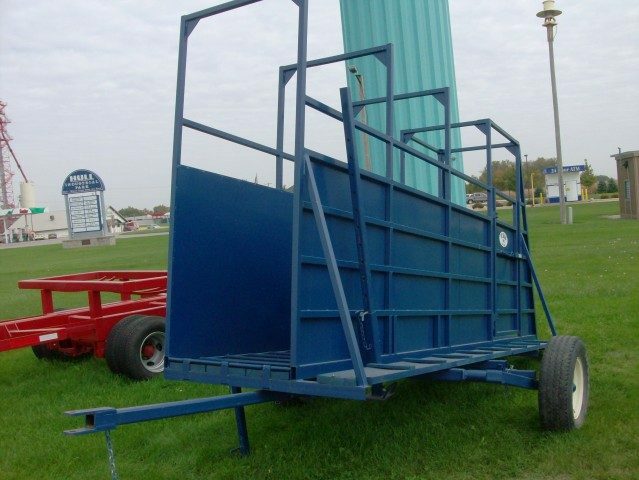 It’s one of only a few loading chutes that can adjust height levels from truck beds to gooseneck trailers. 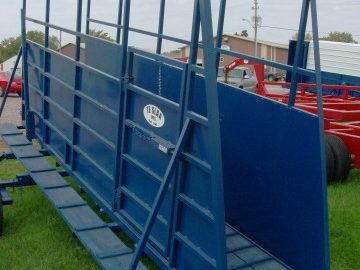 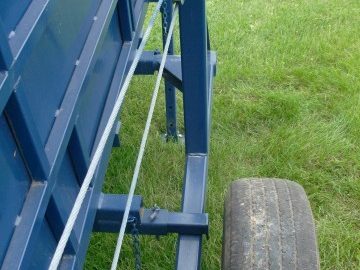 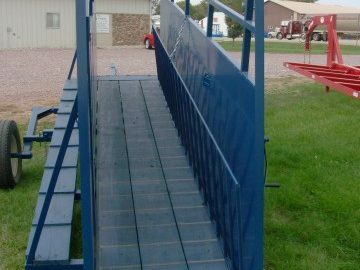 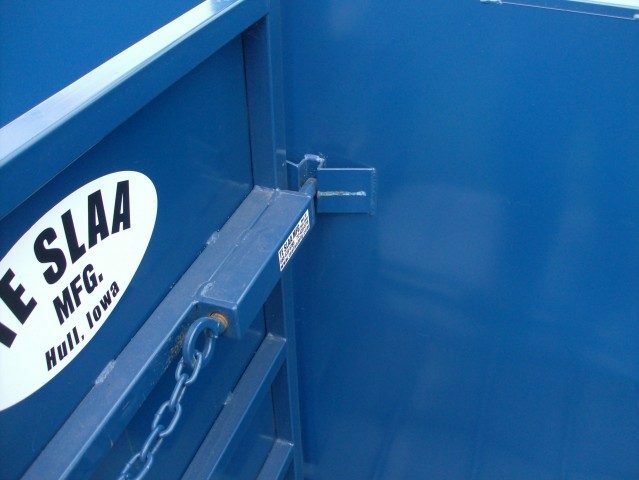 This loading chute built on a rugged mobile platform is packed with features. 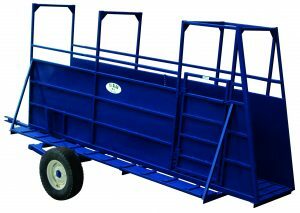 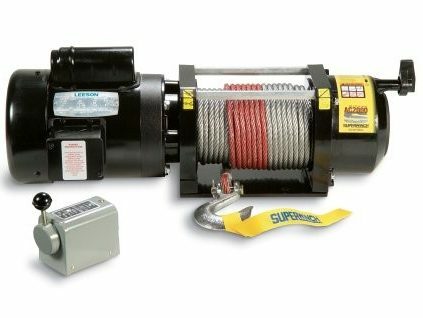 It works great for all sizes and types of livestock. 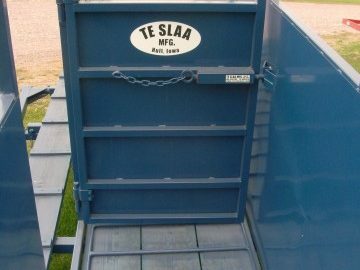 This chute design has a useful stop/access door to help to sort when loading. 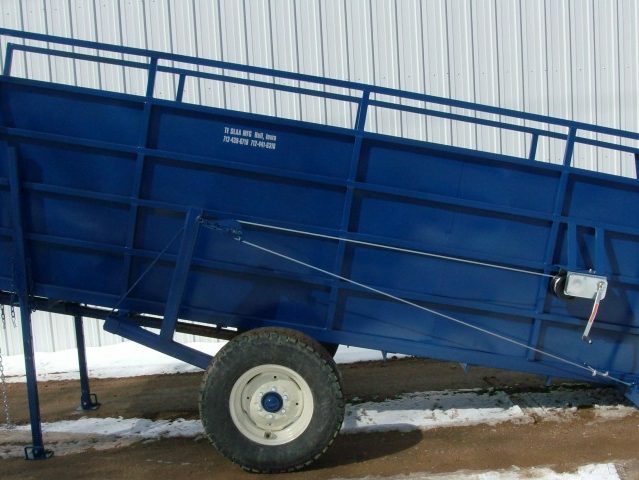 It’s one of only a few loading chutes that can adjust height levels from truck beds to gooseneck trailers. 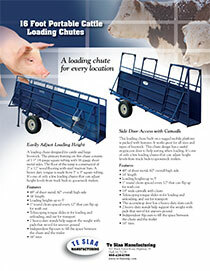 Our simple and rugged loading chute.